When parents decide to take a closer look at homeschooling many become concerned that they are not qualified to teach their own children or that they won’t have enough time to do it properly. They may worry that their kids will fall behind their peers or that they aren’t quite sure how to measure academic progress and make sure their kids are keeping up with their studies. This is why structured curriculum is so popular. It provides parents and students with a step by step process and a measuring stick for progress. Structured curriculum is not without its own issues though, such as expense and the very real possibility that your children will become bored and frustrated with it. More and more homeschooling parents are now looking to online schools and curriculum, particularly the K12 program as a viable alternative. The K12 program was designed to help children who were not having success with traditional education models and to help parents who wanted structure for their homeschooling kids. K12 is basically an online curriculum or home school. The work is done online and with the aid of books and teaching aids. Children have access at any time to certified teachers in their area and they can work at their own pace. Many online public schools have opened in numerous states to offer this curriculum at no extra cost to children who are not thriving in a traditional public school setting. Many homeschooling parents are thrilled that they can now keep their children at home while still using the public education resources that they pay taxes for. Some 26 states and over 1 million children are using the K12 online curriculum at this time and these numbers are sure to grow. K12 uses and Intranet program that children and parents log into to do their lesson plans, chat with teachers, and take tests. They combine the online work with book work and they provide all the books necessary. Most schools using the k12 curriculum will also provide you with a computer. They usually have meet and greet parties for students, as well as planned fieldtrips to museums and other educational venues, providing opportunities for socialization and fun. Many yahoo groups exist to help online schooling students and parents meet up with each other. 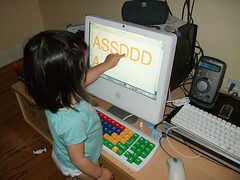 Other online schools with their own curriculum will also usually lend a computer and printer to their students. Some schools gift an iPod to their students and they listen to audio lesson plans and instructions. Benefits of online schooling include allowing your children to be educated at home, flexibility with scheduling and progress, and having numerous resources available to you at no extra cost. Many parents enjoy having that support system. It is also a great program for students who did not flourish in brisk and mortar public schools. Drawbacks would include the mandatory attendance that is common with public schooling and not all online schools are created equal. Parents will need to do their research and see which one would best suit them. The availability of online schools and curriculum is just one more resource and option for parents who want to educate their kids at home.